This was the funniest thing. 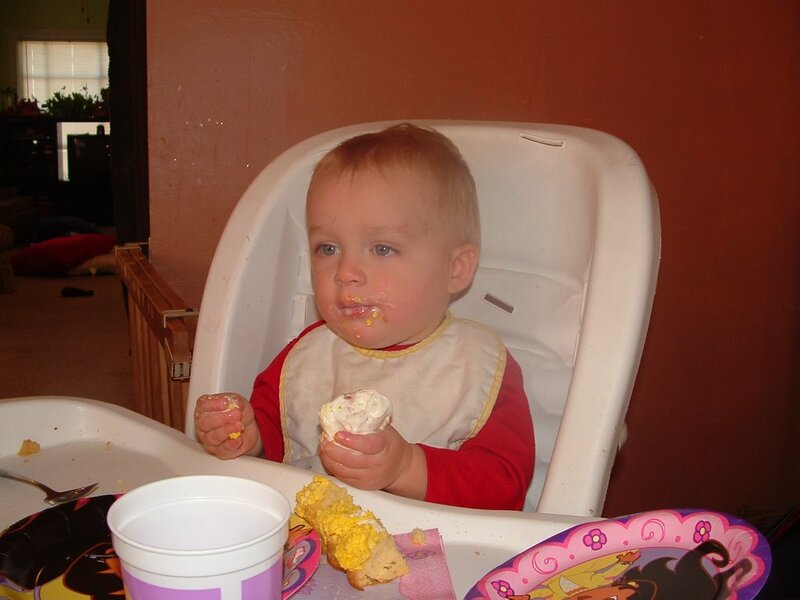 Jimmy had a big piece of cake and a scoop of ice cream on his plate for Eme's Birthday. He picked up the whole scoop of ice cream, and started in. He at until his fingers were frozen. Then he started to scream. He didn't put it together that the ice cream was hurting his hands. We had to shake the ice cream from his hands, then he instantly picked it up and ate it again. Funny funny kid.